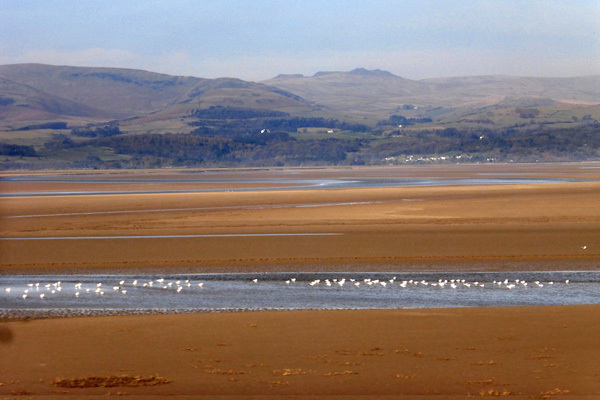 Across the sand; the beautiful Duddon Estuary. 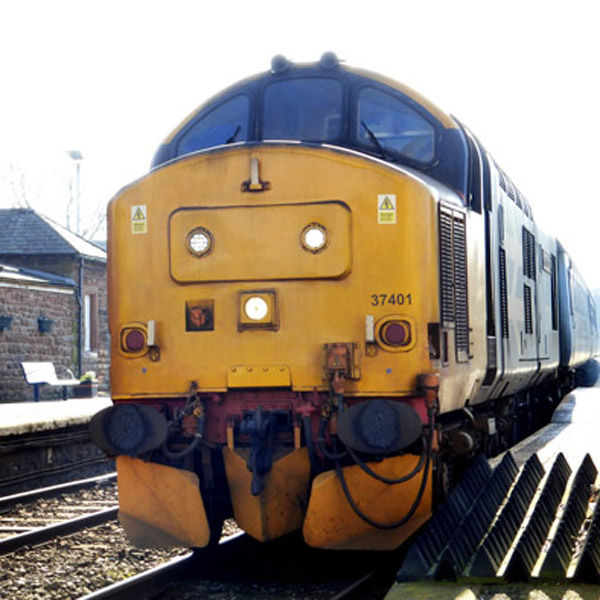 Regulars here will be familiar with my enthusiasm for days out by train with my camera and my latest adventure is a particularly rewarding one to share. complete with the old style BR carriages; wide comfy seats, tables and large windows. All of which are probably as old as I am! Several of these trains traverse the line between Carlisle and Barrow, sometimes extending to Lancaster (Look out for ‘L’ on the timetable) and are so much nicer than the cramped modern two or even one carriage trains. From the moment you leave Barrow (and before if you’ve come from Lancaster), the scenery from the train is breathtaking; left to the coast and right to the mountains. Photography through a moving train window may sound like a a lazy way to take photos and the purists would wince, but I hope I can prove that even with a simple compact digital camera, the results can be quite good. Full concentration goes on thinking ahead and timing (hit the shutter button at the right moment! ), keeping a high enough shutter speed to avoid motion blur and finding a cleanish spot on the window with as few reflections as possible. St Bees village and beach looking south. An hour and a quarter after leaving Barrow and after the train had wound it’s way around the coast and across rivers, I alighted at the village of St Bees, near Whitehaven. Fleswick Bay and St Bees Head. A short walk from the station brings you to the popular sweeping beach, which makes a nice shot viewed from the coastal path that least to St Bee’s Head. It’s a steady ascent on to the top of the cliffs. On a clear day, the coast of the Isle Of Man and Scotland are clearly visible, but sadly it was a little hazy for me. First main point of interest is the secluded Fleswick Bay and a nice picnic spot, before the undulating path continues towards the 1865 built St Bee’s lighthouse. 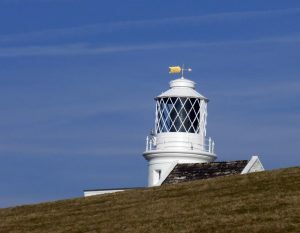 Peeping over the hill, St Bees Lighthouse. Heading home on the train. 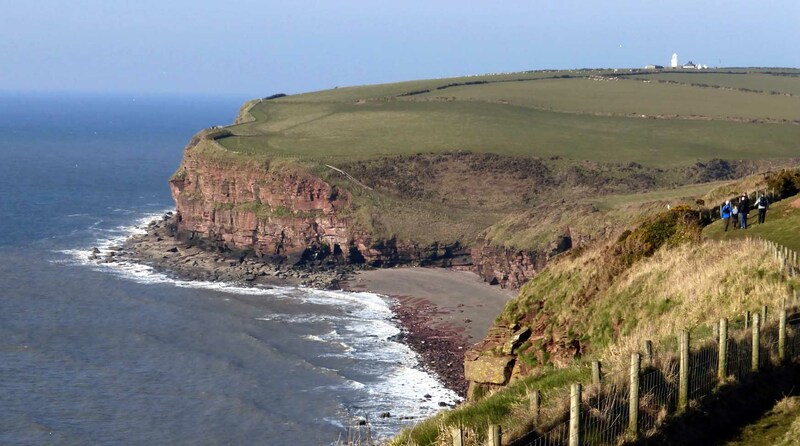 Allow nearly three hours for the bracing walk to the beach, up over St Bees Head and back by the quiet country lane via the pleasant village of Sandwith. My train journey back was if anything even nicer than going, as the sun was slowly setting and the shadows lengthening. 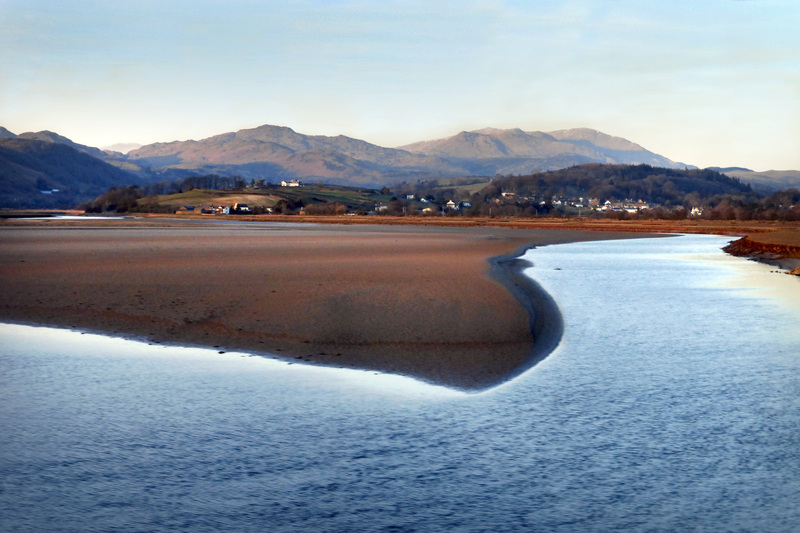 This shot looking towards Broughton-in-Furness (I think) appealed to me because of the winter’s low light and the sweeping River Duddon making an unusual shape to the foreground. 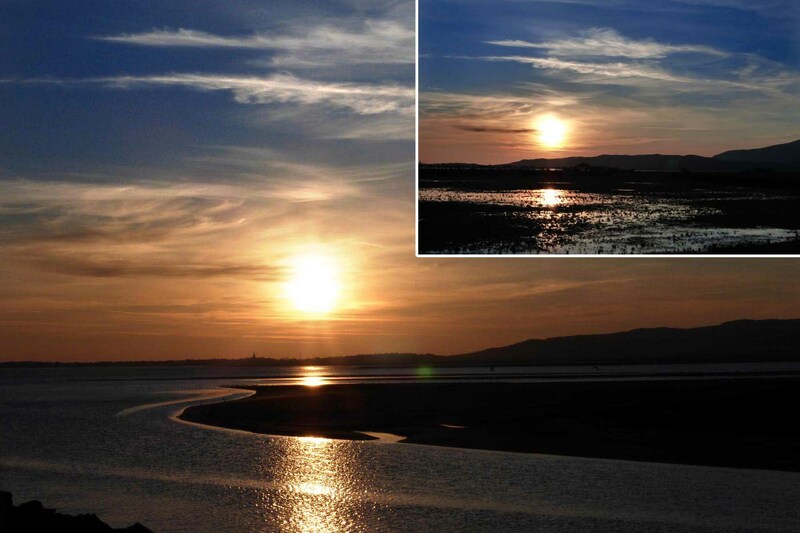 Looking back to the north west, I can never resist a good sunset photo, with the beautiful sky taking priority over the silhouetted outline of land. I pointed my camera and waited to get some water in the foreground to add to the interest and capture more colour from the reflected sun. Of course, the skill again is in timing as well as in avoiding the passing clutter of bridges, trees and telegraph poles etc. Traditional signals at Barrow glow at dusk. 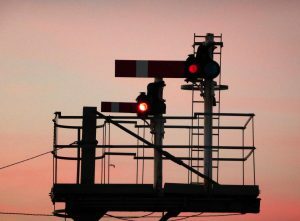 Passing traditional semaphore signalling, signal boxes and village stations that are unchanged for a century and even some still manually operated level crossing gates makes this rail journey all the more magical. I hear that signalling is due to be modernised soon, which is sad, as much of the nostalgic character of this line will be lost forever. If you get the chance, explore it now.